PLEASE REVIEW THIS PAGE before calling us! Where can I find a list of contractors that can work on my barn or give me an estimate of how much it might cost to repair my barn? Where can I find money to repair my barn? 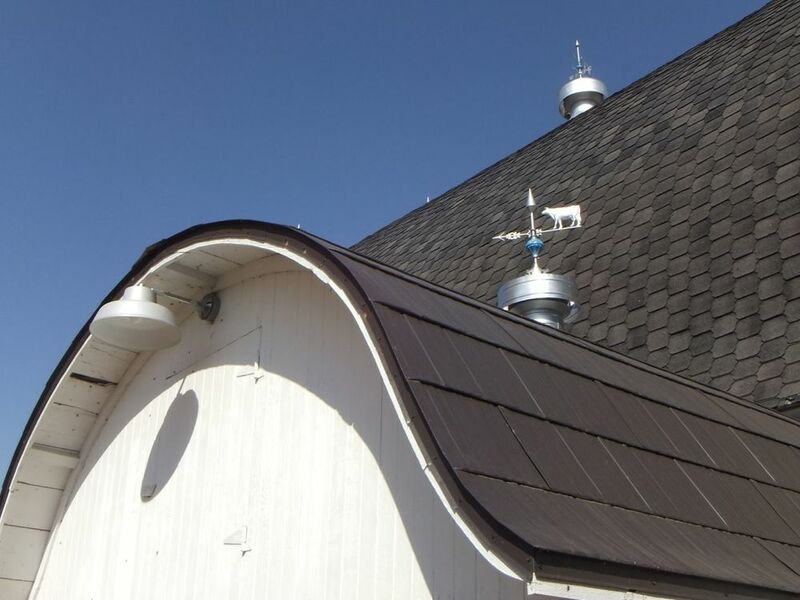 We understand that maintaining and repairing a barn can be very expensive. We currently do not have funds available for grants, however, and do not know of any programs that assist privately owned properties. Friends of Minnesota Barns is a membership-based, volunteer organization. We offer substantial information and resources on our website. Where can I find barn accessories, lightning rods etc? You can find a great deal of barn materials on the internet by searching Craigslist, Ebay or similar sites. Also check with the Barn Repair/Restoration Contractors list which can be found on our RESOURCES page. We hope to have a networking page on our site soon where you can list items wanted and others can list items for sale. How can I research the history of my barn? Check your local historical society, county plat books and abstracts; hire an archeologist; talk to neighbors and others in the local area. How do I fix the roof on my barn? Go to our RESOURCES page and click on See our List Barn Repair/Restoration Contractors. Is it worth it for me to save my barn? Your first step should be to find a contractor who can evaluate the barn's condition and give you an estimate of costs as well as a plan of action to stabilize the barn. You can find a list of contractors and repair specialists by going to our webpage RESOURCES and click on See our List Barn Repair/Restoration Contractors. I know of a barn in my area that is endangered - what can I do locally to help keep the barn around? Be sure the owner knows about our website and the resources available to them including the list of contractors and professionals who specialize in barn repair. If the property is historically significant, there may be tax incentives the owner might qualify for. See question above regarding finding money for repair and preservation. What are the steps to save my barn - where do I start? Your first step should be to find a contractor who can evaluate your barn's condition. See our list of Barn Repair/Restoration Contractors. A qualified contractor can recommend a stabilization plan. Stabilization can add many years to the life of a barn. What are the options for me if I decide not to restore my barn - what can I do with it? We can assist you with a listing on American History Magazine. They will advertise barns as available for $1 in exchange for someone moving and restoring the barn - barns that may otherwise fall down, be torn down, etc (page includes photo of the barn, historic details, barn's location, $1 asking price, and the owner's contact info). You can also do a listing on Craigslist or Ebay. Donate or sell the lumber. Or contact one of the salvage companies listed on our Barn Repair/Restoration Contractors. How do I become a member of FoMB? I would like to get married in/hold my reception or special event in a barn. Where can I do this? We are asked this question many times a week but do not have a very long list of properties. Below is a listing of some that are happy to host special events. If you know of a property or are a property owner that would like to be listed please let us know!